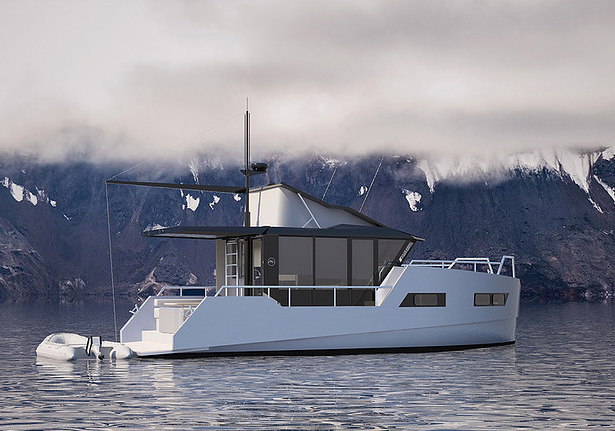 This Boat Runs on Electric and Solar Energy - Photos - AutoReportNG "AutoReportNG-The No 1 Car Blog In Nigeria That You Can Trust - AutoReportNG"
Vik Boats has developed an eco-friendly boat concept that uses economical electric motors and batteries. 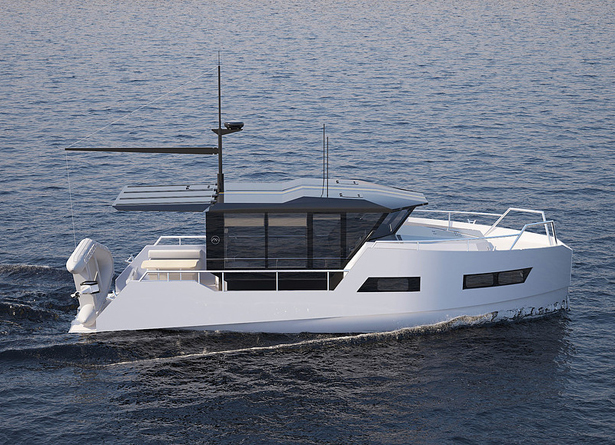 Thanks to today’s technology, it is possible to transfer pleasure boat to electric traction, resulting in a green boat that is free from noise and exhaust gas. The batteries can be recharged by solar energy and wind power. 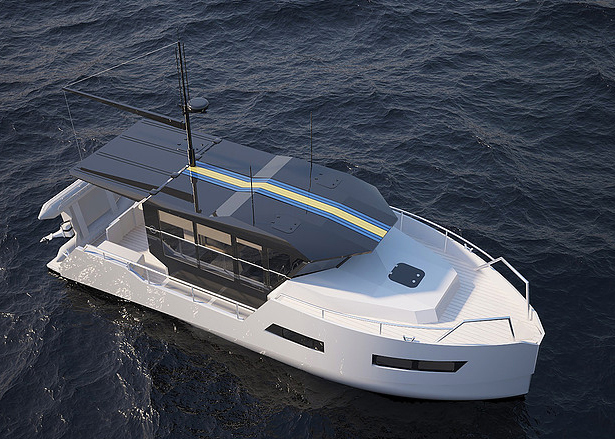 The hull is specially designed to move in an economical displacement mode, in this way, it creates an energy-efficient and silent mode of movement, the ship won’t lose energy to the formation of waves. 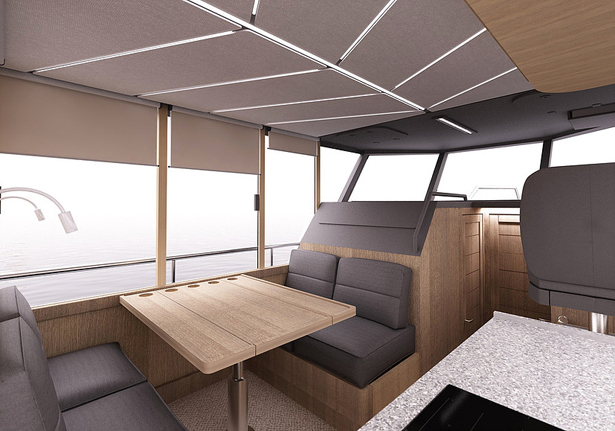 On the boat, you’ll find a kitchen, control post, a table with seats that can be transformed into a bed for two. 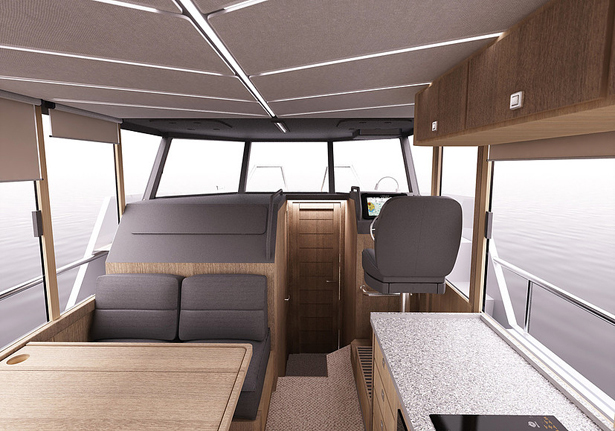 That circular glazing offers great visibility for the steersman. There’s special access to the outer deck that allows mooring operations, even when you drive the boat alone. 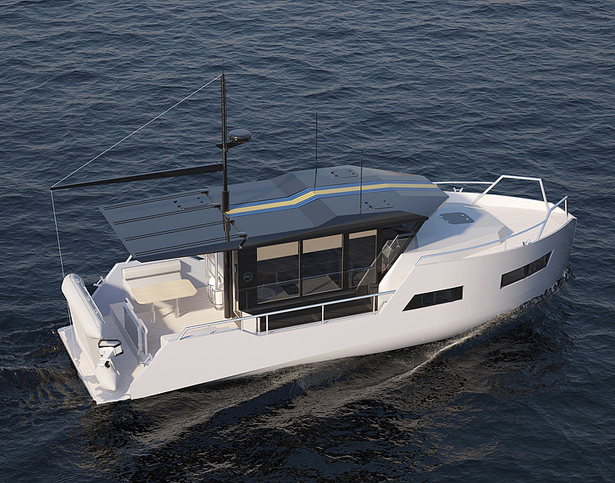 During cold or hot weather, you can install an optional heater or air conditioner, in addition to the salon, this boat has a spacious bow cabin and WC with shower cabin. On the stern, there’s an open cockpit with seats and sunbathing platform. This electric boat from Vik Boats is also equipped with a lifting device on the mast, it allows for easy operation when working with an auxiliary boat or a jet ski. It helps you to load a heavy load onto the cockpit when necessary. The underwater part of the vessel has been designed for possible landing on the ground with protected propeller and rudder to prevent hitting the bottom or submerged objects. There are strong side fins that reduce pitching and serve as protection for the hull.